As promised in my last post, here is the recipe for the muffins Bella and I baked on Saturday. 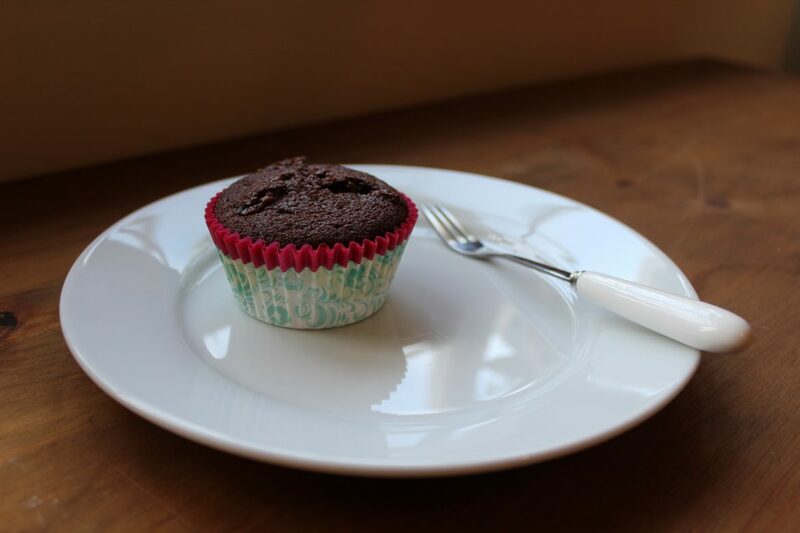 This is my usual chocolate muffin recipe but instead of the white chocolate chunks I normally use, I added in chunks of mars bar and let me tell you, they were incredible. After Christmas the only chocolates left in the celebrations tin were mars and milky ways so this was the perfect way to use some of them up! Bella absolutely loved helping me bake these and was ever so careful with each step of the recipe. Although I think she may have enjoyed scoffing the mars chunks and then the finished products even more 😉 We’re definitely going to try and do more weekend baking together as we both thoroughly enjoyed it. Spoon the mixture into the paper cases until they are two thirds full then bake in your pre heated oven for around 30 minutes or until the sponge bounces back when touched. Leave the muffins to cool slightly in the tray before transferring onto a wire cooling rack to cool completely. Oh I am going to have to make these at the weekend with my two, they look amazing!